Such a great idea, kids always love Diggerland, I bet it was a holiday highlight. Great photo. I'd love a go at that. But did you get rich? Now that does look like fun! Oh wow, this does look like fun. This looks like lots of fun. We've never been to Diggerland. 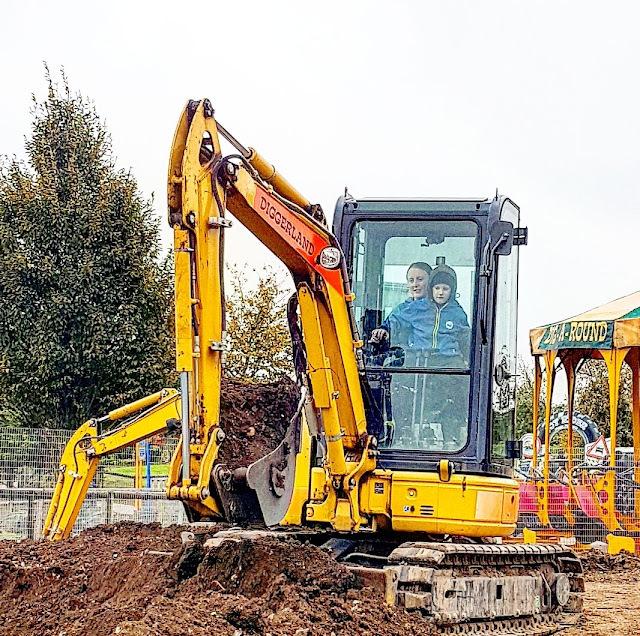 Diggerland Kent, yes? We were there too last Sunday! Didn't find any treasure though. Hope you had a great time.